It has been another exciting day in Beantown at the AARP Life@50+ convention, where I have been mixing and mingling and living it up with my contemporaries from all 50 of these United States – and even some from across the pond. Senior citizens and baby boomers from 50 to 75+ have come to network, socialize, learn new things, get ideas for their retirement years, and find great deals on products and services specifically targeted to the 50+ crowd. The majority of the activities, entertainment, and vendors here at Life@50+ are aimed at helping vibrant, active Boomers pursue the next segment of their life journey. Many of us have recently retired, or are nearing retirement, and are now in pursuit of fulfilling enterprises, active recreation and healthy living. The vendor expo houses over 200 booths, featuring a broad range of vendors for all aspects of 50+ lifestyles: financial, health and fitness, technology, travel and leisure, home and garden, retail, and much more. As a group, we Baby Boomers are a more active and health-conscious crowd than most of our parents and grandparents were in their retirement years. We have worked hard to stay on top of our health and fitness, so that we can truly enjoy the opportunities that come our way for travel, recreation, and family time once we have retired – and we want to continue with our healthy choices. The organizers for AARP Life@50+ are obviously aware of this trend, as I have seen many vendors and exhibitors offering information, services, and products geared specifically toward healthy habits and nutrition. Today I heard about a new AARP vendor – the Schwan’s Home Delivery company. The Minnesota-based national frozen foods company has made a name for itself with its yellow trucks full of ice creams and delicious meats and seafood, and has now expanded its offerings with hundreds of healthy meal options in the LiveSmart line of products – foods with minimal additives, fewer calories, less sugar and sodium, and no trans fats. Schwan’s Home Service is now the largest direct-to-home food delivery provider in the nation, with over 400 distribution centers across the country. Schwan’s Home Delivery means convenience: From the comfort of your own home you can order from an online catalog of frozen meats, pizzas, prepared entrees, appetizers, desserts, and even fruits and vegetables – and have them delivered right to your doorstep by a polite and efficient delivery person. When you are too busy to run to the grocery store, the grandkids are visiting, or you just want to avoid the temptations down every grocery aisle, the home delivery and multiple-serving re-sealable packages of delicious, healthy meal options are a perfect solution. AARP and Schwan’s Home Service has teamed up to offer AARP members some special deals. New Schwan’s customers with an AARP membership can receive $20 off of their first $50 order. 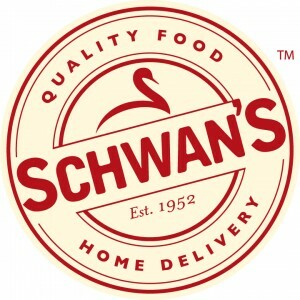 Then, with every online order from then on, they will receive double SCHWAN’S Rewards, earning rewards points worth 10% of each purchase, which can be used for a future order. AARP members will also receive email offers for Exclusive AARP Member Hot Deal Promos. You don’t have to be here at the Life@50+ convention to get these great Schwan’s deals, either – just click here, or go to the Schwan’s website, enter your AARP membership number, and create a Schwan’s account to receive these special promotions. Creating an account is free, with no obligation to purchase anything. Don’t’ you just hate it when you have a problem with your auto and you need some sort of expensive auto repair or service. We are baby boomers so we have been through a lot including aggravating auto repairs before, but it doesn’t get any easier does it. 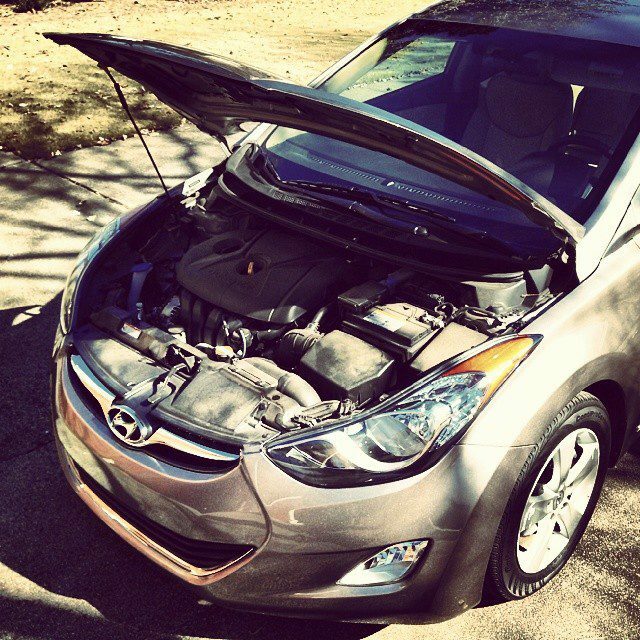 Auto repairs can be costly but that is not the only thing making us feel a little queasy and irritated. How do we know the repair actually needs to be done? How do we know if we are being quoted a fair price or are we being ripped off by an unethical auto repair service? That’s what I am worried about more than just the price. Apparently a lot of people agree with me since a reported 66 percent of car owners believe they have been ripped off by a repair shop. RepairPal is a company that evaluates and certifies auto repair shops based on a number of criteria. I looked into their service which offers to put you in touch with reputable and dependable auto repairs shops in your neighborhood which meets their criteria. 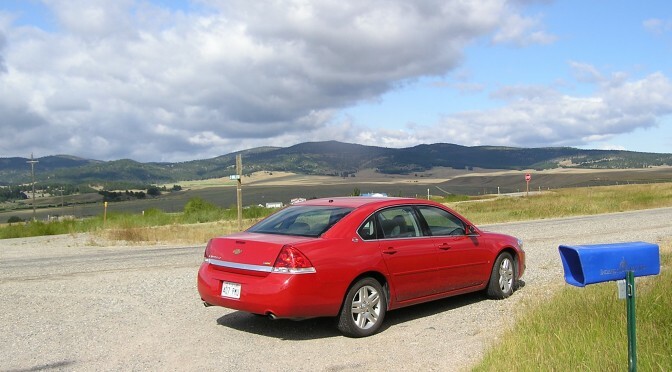 An auto repair shop must undergo a comprehensive technical assessment by RepairPal’s team of veteran ASE certified master technicians, must meet high customer service standards which they verify by interviewing customers of the auto shop. Additionally the shops must offer a 12 month / 12,000 mile warranty and guarantee to charge fair prices within the range of RepairPal’s price estimator. So I gave RepairPal’s web site a try. Seeing that RepairPal has a program with AARP Discounts and I am a member, I went to AARP’s RepairPal page. I entered my name, email, zip code and make of auto and clicked “Find a Shop” button. Under the button it said “This is a free service. No credit card required.” On the results screen it found 37 auto repair shops in my city and it listed the three that were RepairPal certified. It gave their name, address and phone number and indicated there would be 10% off their services for AARP members. Too easy! I found the process to be easy and not intrusive, just putting me in easy contact with the RepairPal Certified shops in my area. The 10% AARP member discount would be a plus too. Next time I need a repair I am going to give them a try. Baby Boomers don’t necessarily buy cheap but many buy smart if they have been able to save money over the years. That might mean getting a name brand quality item for a great price. To save money, it usually means that they have sacrificed either time or money. Baby Boomers watch their expenses carefully because this tough economy has zapped what ever retirement funds seniors have worked hard to accumulate and save, no one knows how much money they will need to retire comfortably and no one knows what physical impairment may keep them from earning an income and when that will come. Everyone wants to retire comfortably with out much worry about money or health. We are not cheap, we are just knowledgeable from years of living and watching others before us struggle with economic situations. I get it but younger generations sometimes don’t understand and it might not be their fault. Some times you can’t understand, till you experience. Have you ever told a friend a story and they just smile and nod but they didn’t really buy into what you were telling them? I think this has happened to all of us. On a later occasion, has your friend then told you a story of something that happened to them that was quite dramatic and very similar what you told them on an earlier occasion? They may or may not even make the statement “you told me something like this happened to you but it did not sink in until it really happened to me?” Point is that sometimes, no matter the age, we don’t get the point until we experience it and it happens to us. With age usually comes wisdom so we boomers don’t have to experience everything to make rational, logical decisions. I don’t have to jump off my roof to know I might get hurt. Boomers, those 50+, retirees, those about to retire have the time and wisdom to search for the discounts, boomer discounts, senior discounts, weekly specials, sales and deals. Baby Boomers don’t necessarily buy cheap but many buy smart if they have been able to save money over the years. That might mean getting a name brand quality item for a great price. To save money, it usually means that they have sacrificed either time or money. 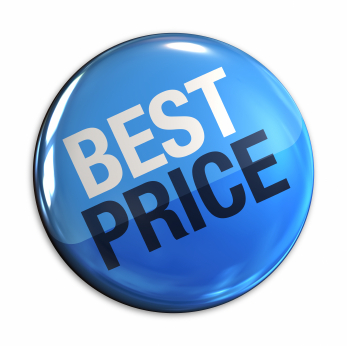 Many have lived their whole lives buying low quality, inexpensive and now they can afford to step up a bit with better quality and discounts. It might be clothing, cars, housing, vacations or just gifts for the children and grandchildren. I then put the city that is close to where I normally stop and I see where the cheapest gas prices are located and what they are. I do this several days before the trip. They may not be the lowest gas prices on the particular day I go but they will be competitive. If where I am traveling to has cheaper gas prices than where I am departing from, then I don’t fill up until I get to the cheaper station. I then put the city that is close to where I normally stop and I see where the cheapest gas prices are located and what they are. I do this several days before the trip. They may not be the lowest gas prices on the particular day I go but they will be competitive. If where I am traveling to has cheaper gas prices than where I am departing from, then I don’t fill up until I get to the cheaper station. 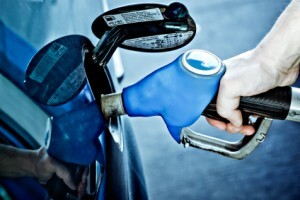 If where I am departing from has cheaper gas prices than where I am traveling to, then I fill up the car. In the winter, I take 1 bottle of water for each passenger, each way. In the summer I double that. If we get thirsty, we can drink the 13 cent bottle of water I purchased from Costco. If someone wants a cola soft drink, most fast food places will sell you a senior drink for less than normal and the prices are all over the board.